Photography on the Run: Runners in the Bandit 50K working up the first steep switchbacks of the Lower Stagecoach Trail at about mile 1.7. The "Corridor" trail splits off the Lower Stagecoach at the top of the initial switchbacks. 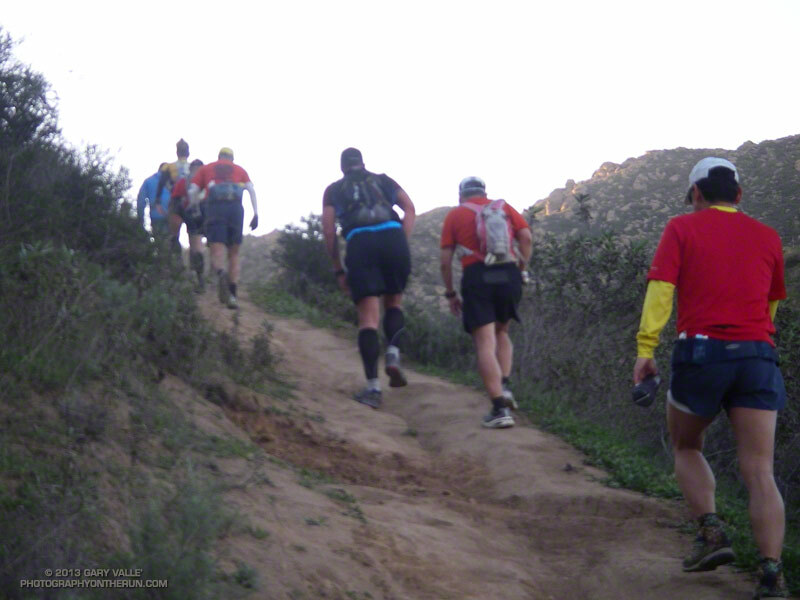 Runners in the Bandit 50K working up the first steep switchbacks of the Lower Stagecoach Trail at about mile 1.7. The "Corridor" trail splits off the Lower Stagecoach at the top of the initial switchbacks.